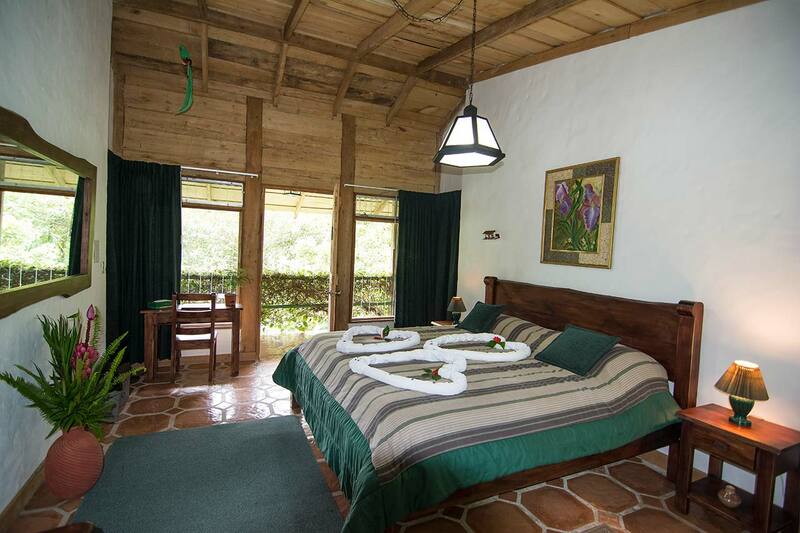 We have a total of 12 rooms surrounded by forest and a hummingbird, and butterfly garden. 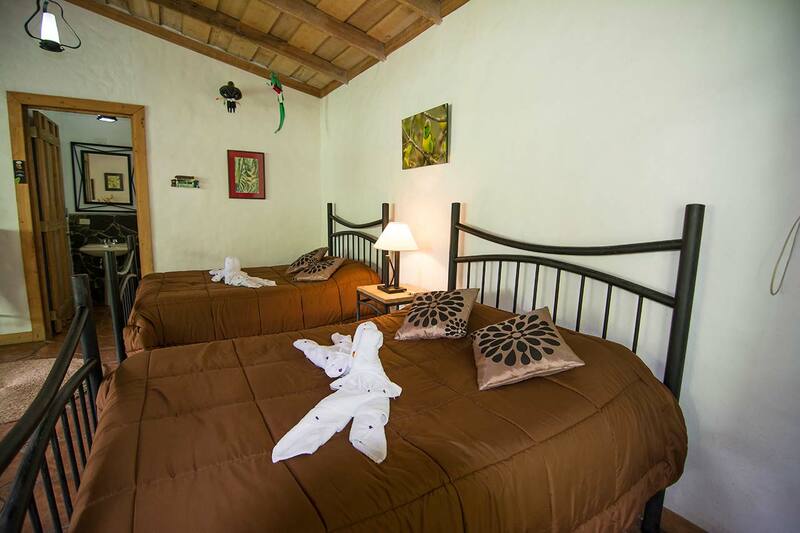 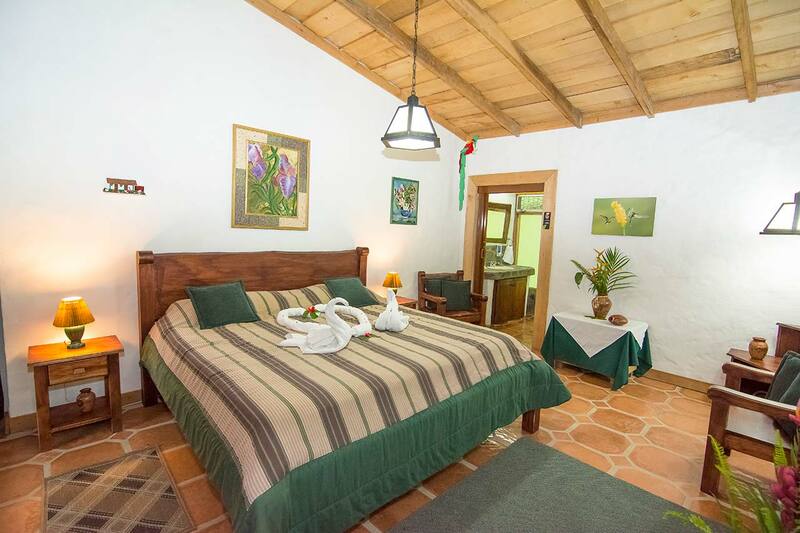 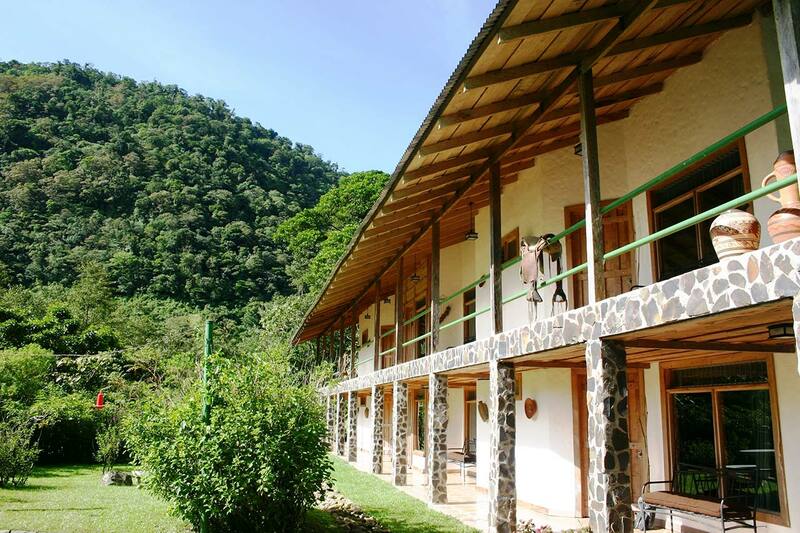 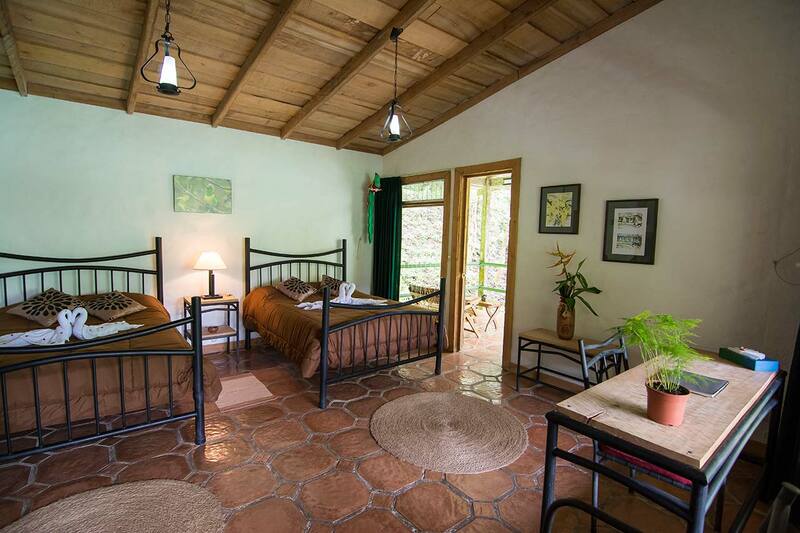 Our rooms are fully furnished with exclusive ironworks and Costa Rican pottery. 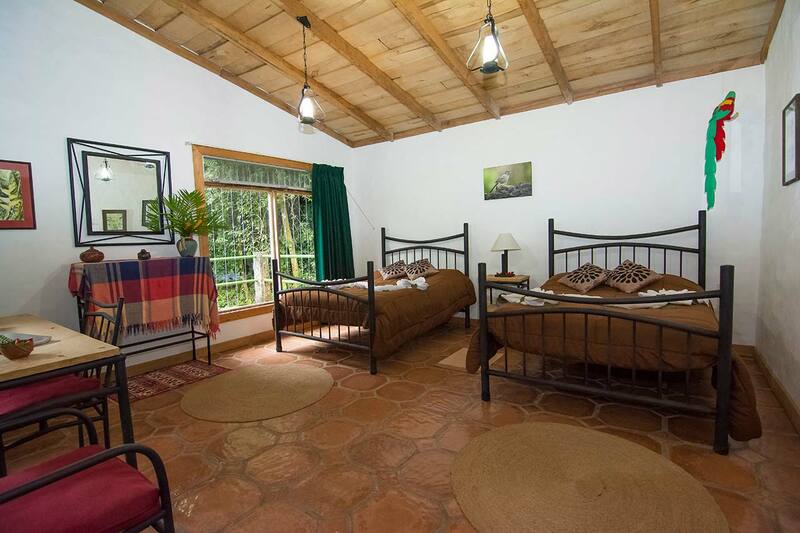 Each one has two double beds, private bathroom, and hot water. 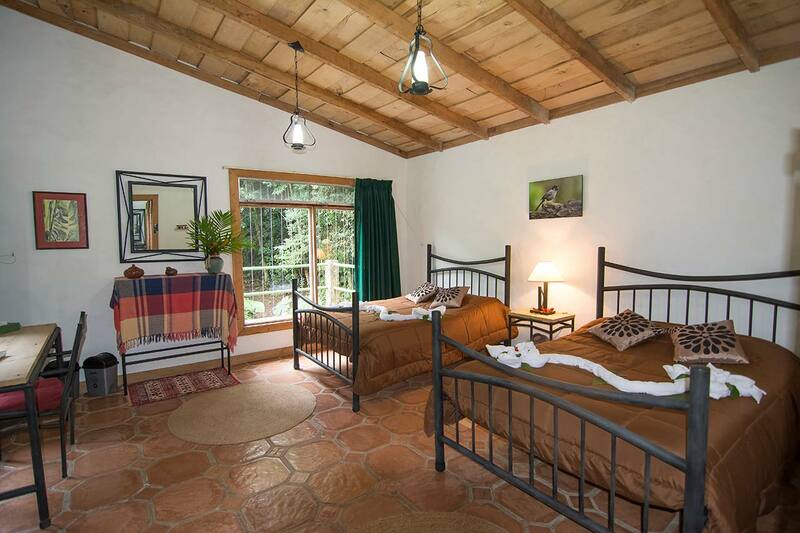 Wide balconies offer beautiful views to the forest.